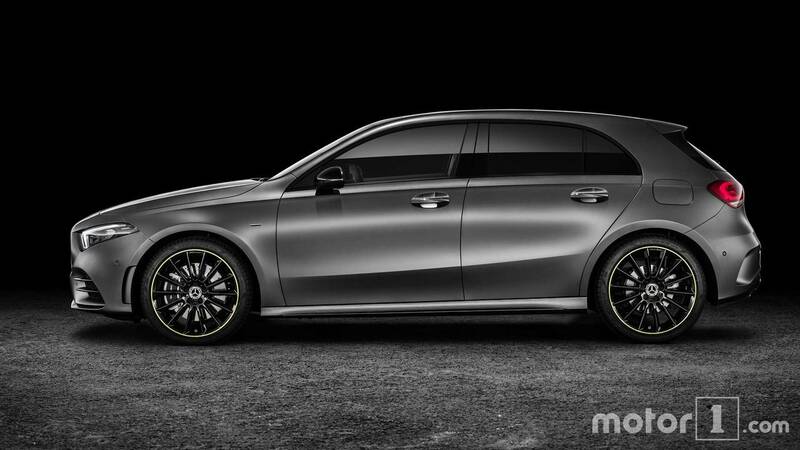 A new face, a new interior, and loads of new tech gives the A-Class a more modern look. 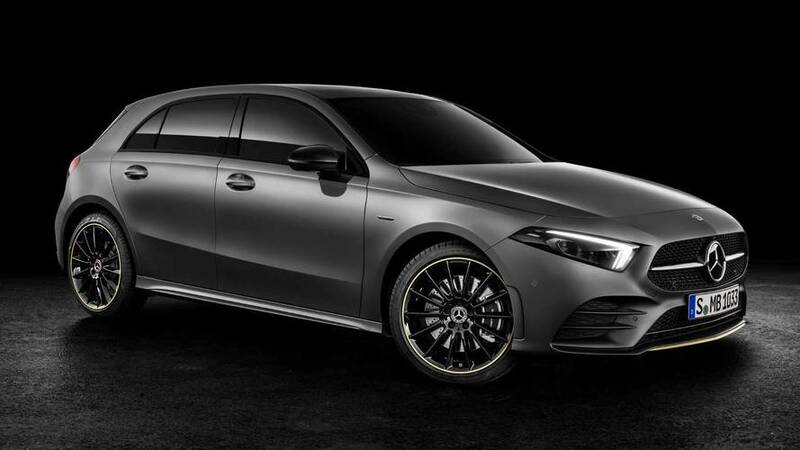 As the entirety of the Mercedes-Benz lineup undergoes an evolutionary update, the smallest offering – the A-Class – is not immune. The compact car has been on the market since 1997, but only as recently as 2012 has it transformed from a strange-looking subcompact to a more mainstream hatchback. 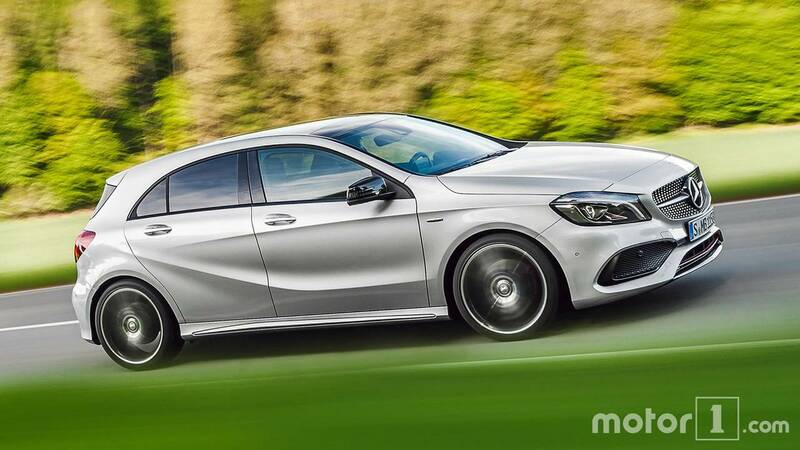 The German automaker hopes to continue that mass-market success with a new model. 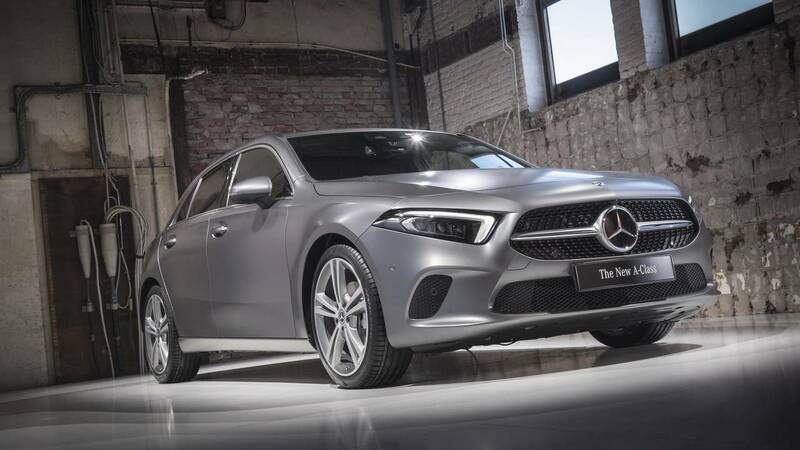 The fourth-generation A-Class was unveiled today, and rides on an entirely new platform, comes with loads of new tech, and of course, features an all-new look. The final product looks surprisingly close to our rendering, and does more than enough to distinguish itself from the outgoing version. 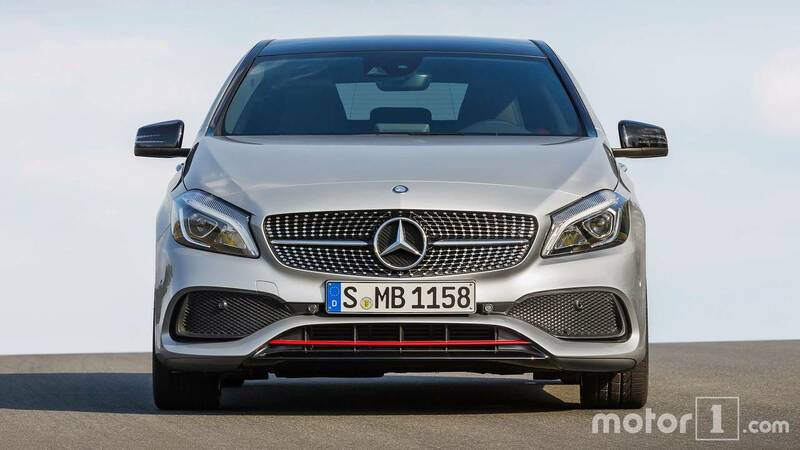 The front end of the new A-Class is sharp and sophisticated. 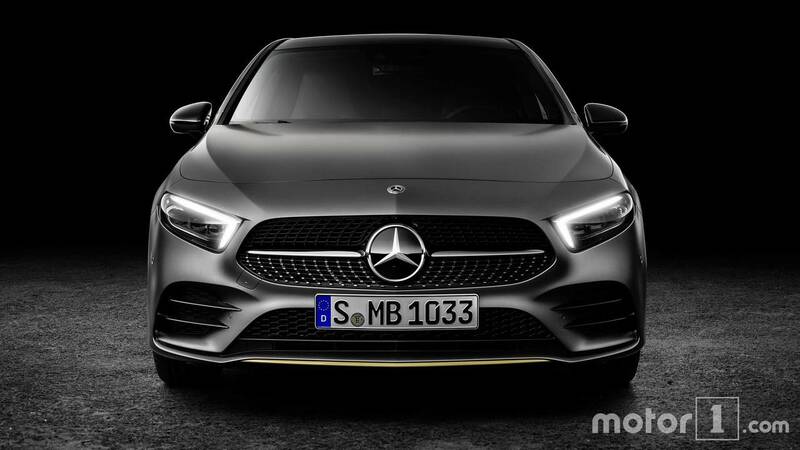 The standard headlights are sharp and angular – each with a new LED daytime running light fixtures – and the new larger grille draws similarities to the new CLS sedan. Buyers can also opt for Multibeam LED headlights, each of which has 18 individually actuated LEDs. Two lower vents are located at each corner of the fascia, and a larger, lower central vent also adds to the more aggressive look. 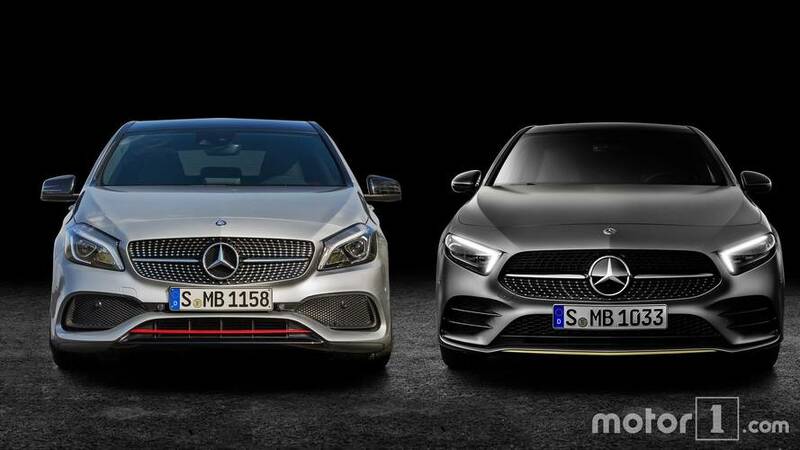 The new A-Class is far more sculpted than the outgoing model, which featured larger headlights and a more rounded fascia. 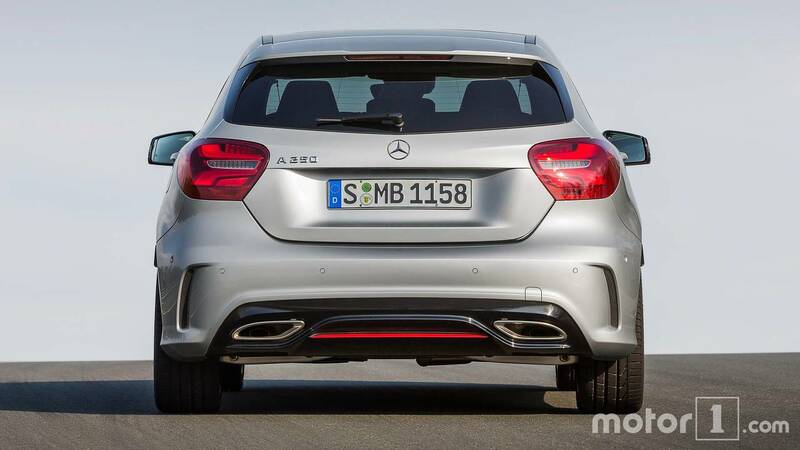 The back of the new A-Class is beautiful – at least far more beautiful than the outgoing version. Gone are the bulbous taillights found on the previous model, in their place are a set of brand new sculpted taillights that stretch from the edge of the license plate frame to the rear quarter panel. 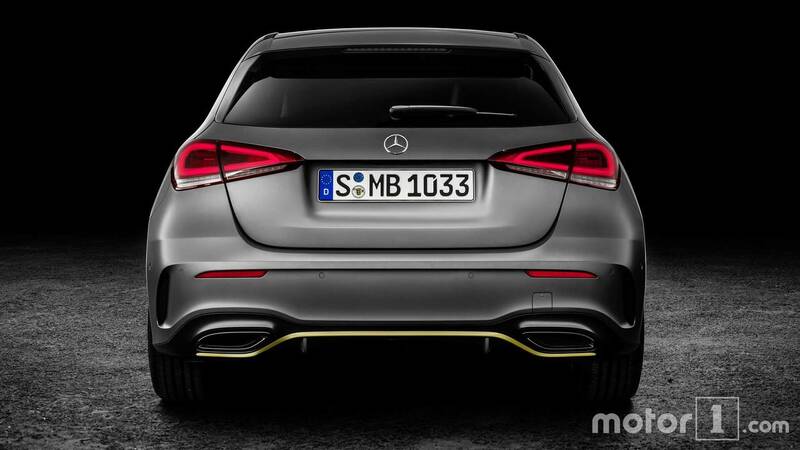 The rear diffuser is also more pronounced, and depending on the trim, comes with yellow accent features. 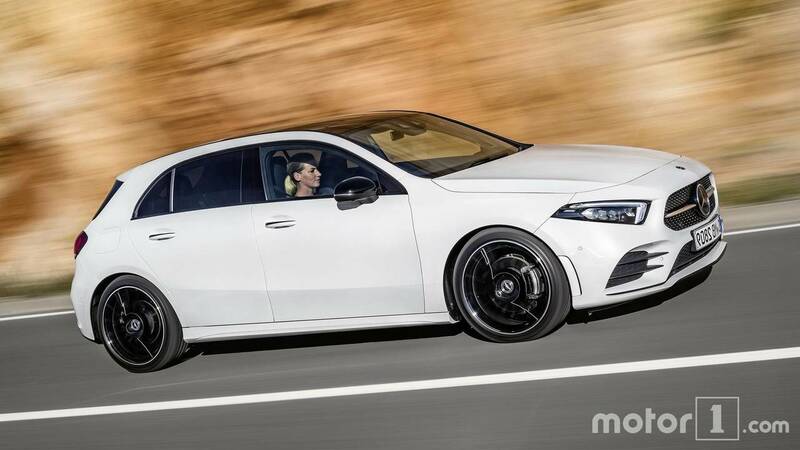 A sloping roofline appears to reduce the height of the rear window just a bit, but overall, it’s a far more appealing package than the previous model. 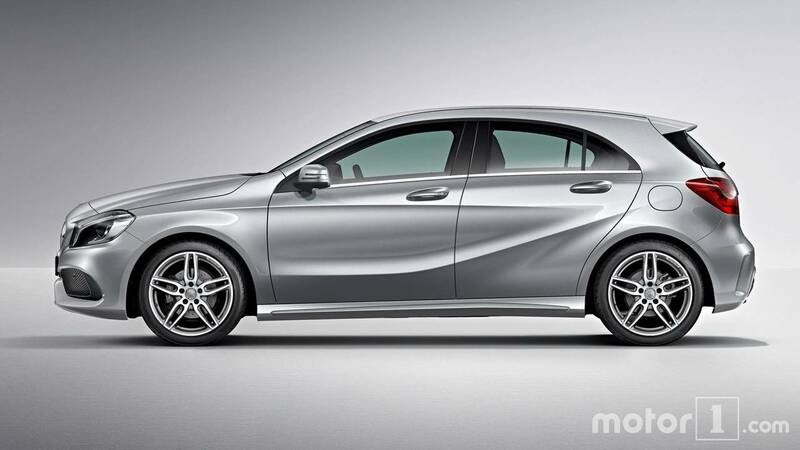 The side profile of the new A-Class has been toned down significantly from the outgoing model in terms of styling. The large swooping design element that extended from the front wheel well to near the taillight has been ditched in place of a more subtle edge that extends only from the front door to the rear door. 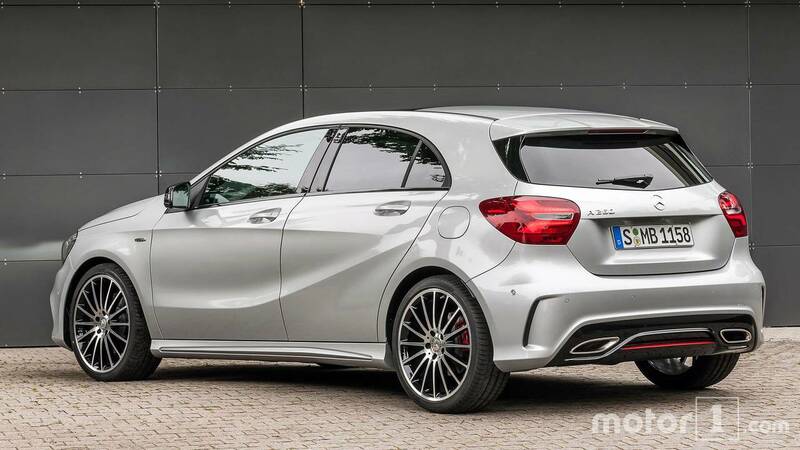 The new A-Class features a wheelbase that grows 1.2 inches (30 millimeters) over the outgoing model, and a track that's half an inch (14 mm) wider, which adds a bit more room in the cabin. 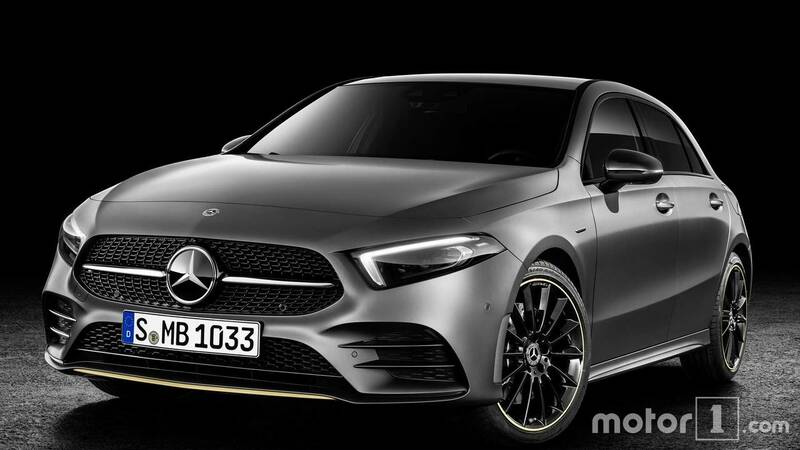 All told, the new A-Class appears to ride a bit lower, and looks far sleeker than the outgoing version, all without reducing the size of the greenhouse. 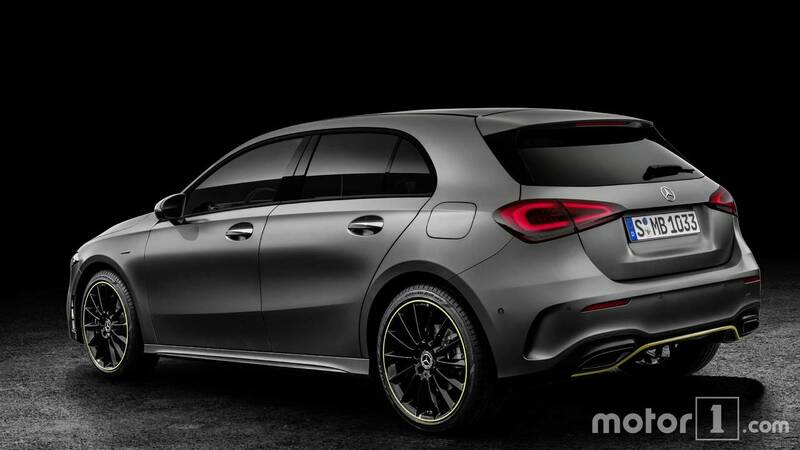 At first glance, the interior of the updated A-Class appears to carry over some components from the outgoing from the outgoing model. The same centrally located air vents can be seen, for example, as well as a similarly styled steering wheel – but dig a little deeper and you’ll see that the new version is far more tech focused. 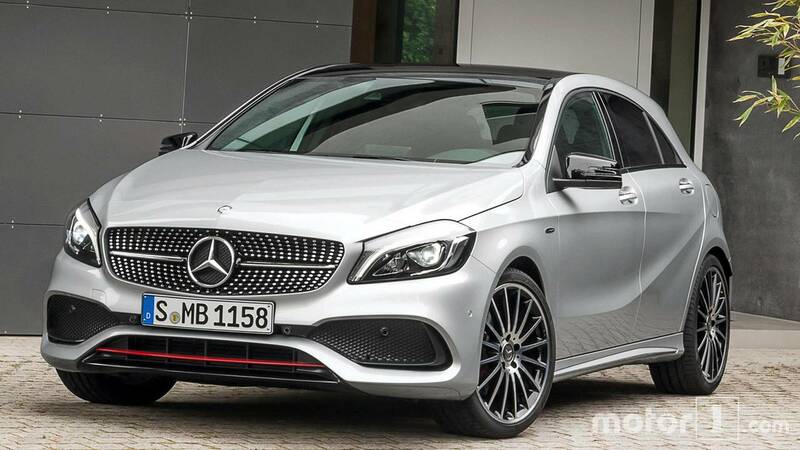 The A-Class is the first Mercedes model to receive the new MBUX infotainment system. The digital instrument cluster and a massive central infotainment screen replaces the smaller outgoing screen – the ones pictured here are the optional 10.25-inch monitors, but 7-inch screens come standard. The box of buttons located under the air vents has been replaced with a more streamlined setup, and a larger new storage compartment, located just underneath the A/C controls, helps the cabin feel less cluttered. There’s even an optional touchpad on the center console that can be used to control infotainment settings.